There are so many recycling symbols out there. The do’s and dont’s of recycling are confusing and you might be feeling lost. Well here’s the how and what on plastic recycling. We’ve all seen the three arrows chasing each other to form a triangle imprinted on the bottom of plastic containers. That just means the product is recyclable right? Wrong! Have you ever noticed the little number inside the triangle? That tiny digit makes a massive difference. These numbers range from 1-7 and they are your key to WTP because each means something quite different from the others. This is one of the most common plastics used in consumer products. The PET symbol can be found on most water and pop bottles as well as on some packaging. This type of plastic is the most high value recycling on Earth. Just because it is high value does not make it easy. PET bottles are crushed and shredded into small flakes for recycling. These flakes are reprocessed to make new PET bottles or they are turned into other types of plastic or spun into polyester fibres which are used to make various textiles. It can be very difficult to clean and to properly decontaminate waste plastic of this kind, and it requires the use of harmful chemical agents or plenty of energy to turn into something useful again. This is a high-gas, low liquid-fuels plastic when used in our Dung Beetle, and due to its high recycling value we do not suggest gasifying it. That’s what the little number two stands for. It’s what goes into the making of some milk, detergent and oil bottles, as well as many plastic toys. This stiff plastic is considered one of the safest forms of plastic.HDPE is hard-wearing and extreme heat and freezing do not break it down. That makes it the number one choice for park benches, picnic tables, waste bins etc. HDPE is the easiest type of plastic to recycle and it’s cost-effective too, but worth only about 1/3 to recyclers as PET on the market, so although it’s easier, the numbers are not as good so often it is not recycled because of this problem. Soiled HDPE is great food for our dung beetle, and many places where HDPE is used but not recycled, our Beetle may be one of the only ways to get rid of this hard wearing number. Yum! PVC-piping is the main use for this plastic. The uses of PVC also include clear food wrapping plastic, teething rings, children’s toys, etc. This flexible plastic has been dubbed the “poison plastic”. This name comes from the fact that it contains numerous toxins that can leach out during its lifetime. PVC products are not readily recyclable either. Though some products made from plastic of this kind can be reused, repetitive use can be even more harmful. We cannot use this plastic in our Beetle because when it is gasified, the plastic lets off highly toxic Chlorine gas that can not only be deadly if inhaled but can cause explosions! Whoa! This type of plastic can be found in shrink wraps, dry cleaner garment bags, plastic shopping bags, squeezable bottles, etc. LDPE is considered less harmful than most other types of plastic, although it isn’t commonly recycled. When this plastic is in fact recycled it is generally used for products like plastic lumber and garbage can liners. We have a special shredder that rip this stuff up into perfect Beetle food, and since this is one of the least recycled plastics we have a solution to put it to sleep for good. Slurp! Polypropylene has excellent heat resistant properties. It’s lightweight, durable plastic, often serving as a barrier against moisture, grease and chemicals. You can find it as a holder of yogurt and some milk product containers. 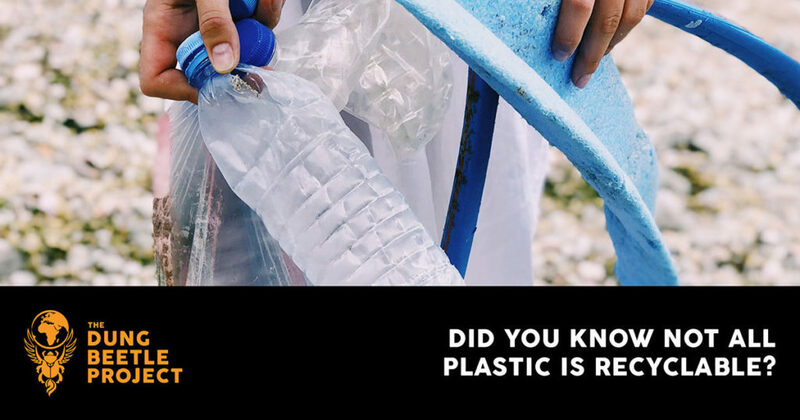 Polypropylene is recyclable and it is usually used in brooms, bins, car parts like car interiors and bumpers, as well as climbing jackets and even sunglasses! It is considered safe to recycle this type of plastic, but the value is often too low so recyclers tend to throw it into the landfill, but our Beetle simply loves polypropylene, and we can turn it into fuels, electricity and much more! Nom Nom!. This is another type of plastic most people have heard about. Polystyrene has a wide variety of uses. It is lightweight and easily formed. The most common uses include Styrofoam drinking cups, take-out food containers and the peanut foam chips used when shipping to protect the contents of a box. This type of plastic is not at all environmentally friendly as it easily breaks up into smaller pieces and gets dispersed across the environment and the beaches of our very own Earth. Carcinogens (cancer causing agents) may also be leached into food products. Although the technology to recycle polystyrene is available, we don’t know of anywhere that is currently doing it, but the Beetle it eats this nasty pollutant for breakfast lunch and dinner! Crunch! This wide array of plastics, not covered by any of the other numbers, is primarily used in sippy cups, baby bottles, plastic food containers, etc. The use of these types of plastic often has negative health implications because of chemical leaching occurring in these products. When possible, it is best to avoid these plastics. They are not to be reused and cannot be recycled, but the Beetle can offer this suite of “all the rest” a noble end of life solution. Basically the only plastic she can’t eat is PVC so when it comes to number 7, we are ready to take it out of our environment and turn it into useful fuels! Chomp! 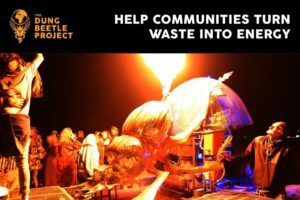 If you would like to support the Dung Beetle in addressing our plastic dilemma, you can donate here or sign up to our newsletter for updates. This entry was posted in Blog and tagged Dung Beetle Project, recyclable products, recycling ideas, recycling symbols.